Kedaara Capital-backed third-party logistics (3PL) solution provider Mahindra Logistics Ltd has invested Rs 7 crore (about $1 million) in freight management solution startup ShipX, it said in a stock-exchange filing. Owned and operated by TransTech Logistics Private Limited, ShipX is a software-as-a-service (SaaS)-based transport management solution (TMS) platform that serves the supply chain automation needs for 3PLs, shippers and transporters. The company claims that its solutions provide better visibility and control of operations across the entire network of transportation businesses including their branches, franchise locations and customer branches. ShipX was launched in 2008 by Maxin Samuel and Amarnath Kalale, both of whom have worked with Yantra Corporation, a provider of distributed order management and supply chain fulfilment solutions. Yantra was a privately owned spin-off of Infosys Technologies. 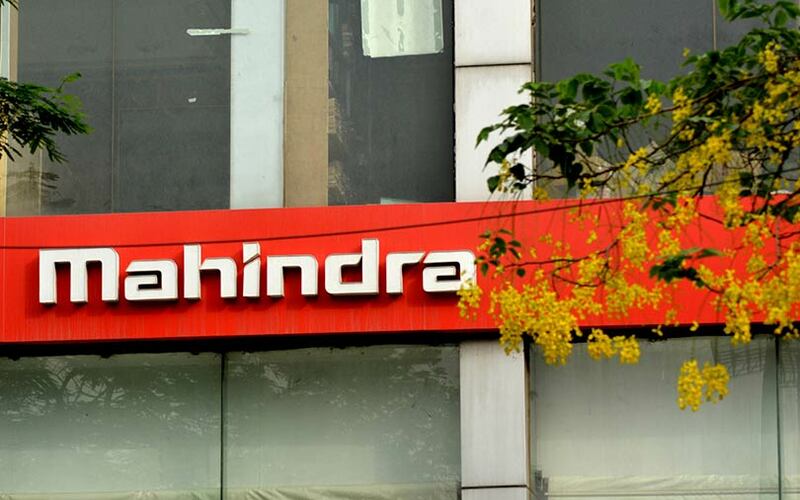 The investment is expected to help Mahindra Logistics increase end-to-end digitisation and bring in operational efficiencies, the company said. “With our asset-light business model, we are already like a ‘platform’. The strengthening of our relationship with ShipX opens up a new opportunity to take this to the next level,” Pirojshaw Sarkari, chief executive of Mahindra Logistics, said. Mahindra Logistics has been a customer to ShipX for more than three years, using the product for its supply chain management vertical. According to co-founder Kalale, the investment will help the startup develop more product features and strengthen the organisation. Mahindra Logistics is a portfolio company of Mahindra Partners, the private equity arm of the Mahindra Group. The company is an integrated third-party logistics service provider, specialising in supply chain management and people. It claims to serve over 350 corporate customers across industries including automobile, engineering, consumer goods and e-commerce. Mahindra Logistics’ consolidated revenue from operations stood at Rs 3,416 crore for the year through March 2018, up from Rs 2,666.6 in the previous financial year. The profit after tax was Rs 65.27 crore, up from Rs 46.10 crore during the period. Mahindra Logistics had recently announced that it will buy an additional 8.69% stake in its subsidiary Lords Freight (India) Pvt. Ltd for Rs 1.86 crore ($270,000). After the deal, Mahindra Logistics’ stake in Lords Freight will go up to 68.69%. On Thursday, the company said it will invest another Rs 1.84 crore in Lords Freight to increase its stake to 78.81%. Companies in India’s logistics sector have undergone massive experimentation and course correction and are currently experiencing a relatively stable phase. As a bunch of new players have emerged in the sector, achieving scale is the next milestone for these firms. The enormous market scope coupled with the relatively low-entry barrier attracted a herd of me-too startups in the space. Startups such as Ezytruk, Turant Delivery, GoGo Truck, Loadkhoj and Truckmandi have shut shop over the past two years. Though the space has seen venture capital investments, it is yet to generate a unicorn—an industry term for a startup valued at $1 billion or more. Some of the well-funded players in the space include Rivigo, which was valued at $900 in its last funding round early this year, Delhivery, BlackBuck, Ecom Express and Xpressbees. Logistics startups that recently secured venture capital funding include WheelsEye, which on Thursday raised Rs 7 crore (around $1 million) from early-stage venture capital firm Prime Venture Partners. On Wednesday, TechCircle reported that global philanthropic organisation the Michael and Susan Dell Foundation (MSDF) invested Rs 5 crore ($711,440) into intra-city logistics startup Blowhorn. Early this month, TransportEG.com, which connects customers to truck-haulage services, raised Rs 13 crore ($1.9 million) from the private equity arm of Infrastructure Leasing & Financial Services (IL&FS). In June, logistics management startup Locus raised $4 million (Rs 26.8 crore) in a pre-Series B round of funding from new and existing investors.